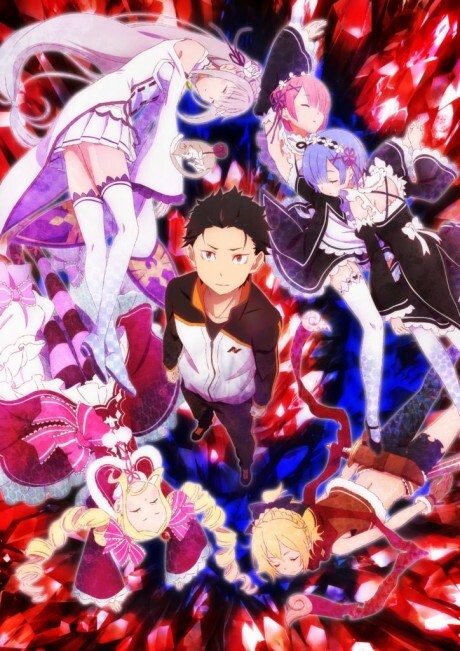 In the story, Subaru Natsuki is an ordinary high school student who is lost in an alternate world, where he is rescued by a beautiful, silver-haired girl. He stays near her to return the favor, but the destiny she is burdened with is more than Subaru can imagine. Enemies attack one by one, and both of them are killed. He then finds out he has the power to rewind death, back to the time he first came to this world. But only he remembers what has happened since. A very serious and in-depth grim psychologically character-driven anime, and one of the best out there. This anime is worth it!